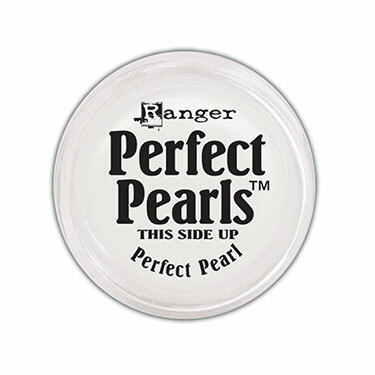 Create dazzling pearlescent effects with Perfect Pearls™. Specially developed with a built-in resin, Perfect Pearls™ Pigments are easy to use wet or dry. Mix with watercolors, inks, acrylic paints, Ultra Thick Embossing Enamel™, embossing powders and other mediums for radiant results! Mix into a small spray bottle with water to create your own shimmer / pearlised water spray. Brush over embossing ink to create a pearlised watermark.